Highly Recommend written by mobile Xiaomi Stand I got it very well. Delivery is very fast. And the stand is working well. I would like to use it without a breakdown. Highly Recommend written by mobile Good satisfaction. Good. Okay. Okay. Good touch. Good. No pig nose. I also arrived at the item is also good goods faster than expected delivery. I also like the design and the performance is good ~! Highly Recommend written by mobile Xiaomi stand is flexible and good. Very satisfied. The language of the US home application should be easy to write in English. I will write well. Shipping is a bit late compared to other products. It is more beautiful than the picture. Satisfied. Do not buy expensive things that you do not like and buy these. I got well with good products. Good design and MiHome interlocking is also good. I like the design and the features are satisfactory. I just got it. Bullet shipping is great! I'll try it and leave a comment! I think the Xiao Mi first-generation stand is better. I personally do not like the second generation. I bought a new product, but it is very good. Fast shipping Good product Good !! It was nice to have enough fresh vegetables to feed the nose of pigs. I ordered it before it sold out. When will the delivery come? I do not think the goods have started shipping yet. This product is out of stock, the product is not available for delivery, we can not help. Your order has been canceled. I attached the photo, but I sent it by e-mail. When I sent it by e-mail, I came up with a parrot-like reply to send the order number to the video attachment. Half of the power does not come on. I'm asking you to exchange a defective shipment, but it's too tricky. 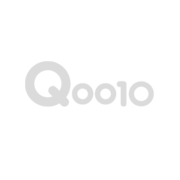 If you would like to send us an email with no picture and order number 993018488@qq.com, we will be happy to help you. Is it not possible to grasp the thing that you send from that side? First of all, I can not take pictures but I can not tell if they have one or two. We are asking you to make a purchase so that we can check if the two items you have purchased are missing on shipping. We will help you resend this week in China this Sunday. I ordered two but I only have one. Where do I go to work with the app? The pig's nose is not there. This item is not helping to ship pig nose bundle.